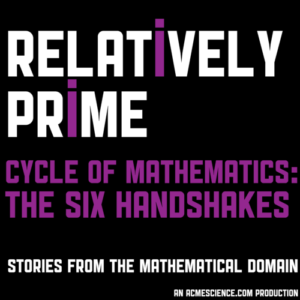 Welcome to the new Cycle of Mathematics mini-series from Relatively Prime. In this mini-series we will be covering mathematics from its start as an idea to its publication to it inspiring the cycle to start anew. In this first episode we bring to you the story of the ground breaking small-world network research of Duncan Watts and Steven Strogatz which spawned the mathematical discipline of network theory. This work was published in Nature in 1998 in a paper title Collective dynamics of ‘small-world’ networks. In order to tell this tale Samuel spoke with Duncan themself to get the inside story on where the idea came from, the process of the research, and why Duncan had to bring extra calling cards on a trip to Catalonia. Stayed tuned for next month’s entry in the Cycle of Mathematics mini-series which will be all about the behind the scenes of mathematical publication.